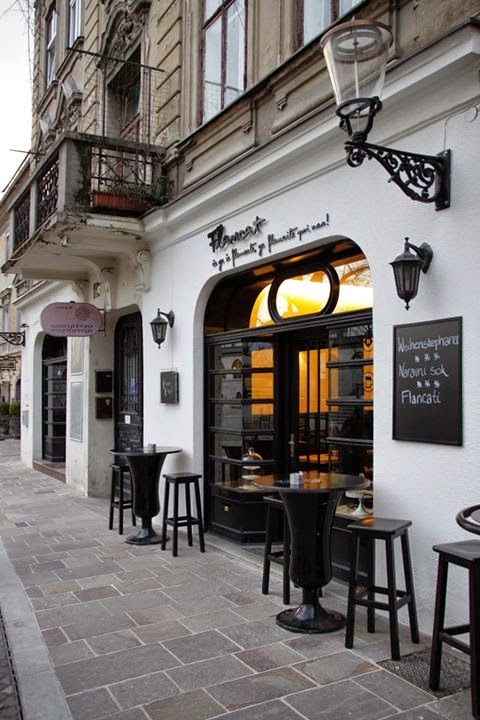 Ljubljana Magazine - en: Flancat! Flancat. What a cool word. The newly renovated Petkovsek river bank looks really really nice and the new bar Flancat really fits in. It's relatively small, but the cute Flancat opened in February 2014, so it's still quite fresh. 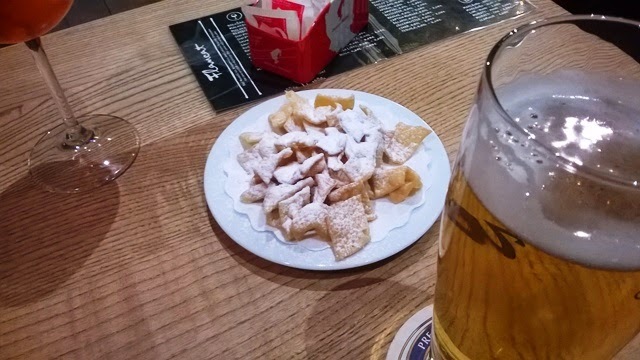 I stopped there for some beer, they're serving the hard-to-pronounce Weihenstephaner, which is supposedly the oldest German beer. To me, beer is beer *ducks from flying tomatoes of beerlovers*, the main reason I went there was the insanely cute interior and design. And of course, Flancat wouldn't be Flancat if they wouldn't serve those crunchy bite sized flancats, which are almost an alternative to salty peanuts, that usually go along with beer. You're never alone on a picture with FlanCam selfie wall. This guy always keeps you company. 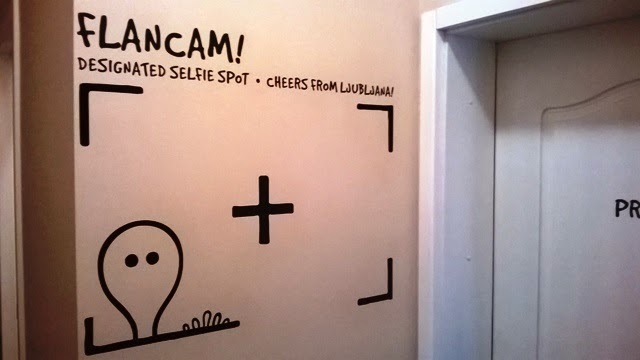 Anywho, Flancat is cool and after a couple of Weinheinblahblah beers, that selfie wall will be a true hit. Just don't send us photos.